For many book lovers, opening a bookstore seems to be a dream job. Independent booksellers enjoy being part of a community, encouraging the pleasure of reading in adults and helping to make lifelong readers out of children. Of course, as with any business, the realities of opening a bookstore are a lot more complicated than the dream of bookselling. If you’re considering buying or starting a bookstore, here are some facts about bookselling. Likely around other retailers, and somewhere there will be lots of foot traffic. Generally, the better the location, the more expensive the per-square-foot rental will be. You’re paying rent for the location and in most of today’s retail environments, customers expect stores to be open when it’s convenient for them to shop. That almost always means at least some late nights, weekend days, and even many holidays. Successful booksellers, rely on their staffs to engage and “hand-sell” their customers. That means time spent recruiting, training, personable, book-knowledgeable people. It also means ensuring you keep your bookselling staff interested and engaged themselves, so you retain their services for as long as possible to keep your bookstore’s continuity and make your time, money and energy investment in your staff worthwhile. For the book lover, the act of buying books every season can be a great deal of fun—as well as a lot of work. It means reviewing publishers’ seasonal lists for the up-and-coming new titles, making judgments about books you’ve never read, and buying a mix of titles that appeal to a broad range of tastes (including books that don’t appeal to you personally as a reader). Bookselling profits are generally more slender than many other retail businesses. Some booksellers find that their “ancillary” sales—stationery, tee shirts, mugs, gifts—and, indeed, their café—nets a bigger profit-per-square-foot than the actual book sales. Though many an aspiring bookseller has gotten into the business because of their love of books and reading, love of accounting and finance are great traits for a bookseller to have. Barring possessing those skills him or herself, it’s critical that a bookseller contract out for competent people in that area. Even if you have no nearby competition from other bricks-and-mortar stores, there’s always competition for from the online retailers of both print books and e-books, like Amazon.com, bn.com, the Apple iBookstore, and even many publishers who sell their books directly to the public. In addition to staying abreast of the bestsellers, to stay competitive the independent bookseller needs to keep current with the quickly changing technologies of online ordering, e-reader devices, and e-book downloads, and print-on-demand equipment and capabilities. 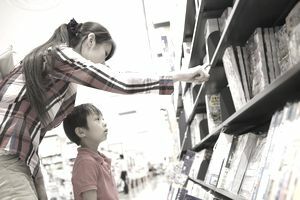 In addition to the text delivery technologies, staying engaged with social media marketing technologies keeps the bookseller connected to his or her customers. A Facebook page for the bookstore, regular e-newsletters to customers (like the one written by R.
J. Julia owner ), and even Twitter streams can be as important for bookseller promotions as traditional book signings and other in-store events. If all the elements of a retail business excite you, and the idea of working with books brings you joy, then owning a bookstore might be the right career for you. Read about the resources that will be helpful if you’re thinking about opening a bookstore.